Even though France won the World Cup 2018, Croatia – unarguably the tournament’s best team – won our hearts with its fearless playing style that beat out the stronger oppositions of Argentina and England. With a mere population of just 4.1 million (Singapore has 5.6 million), the Eastern European country is not short of natural wonders. 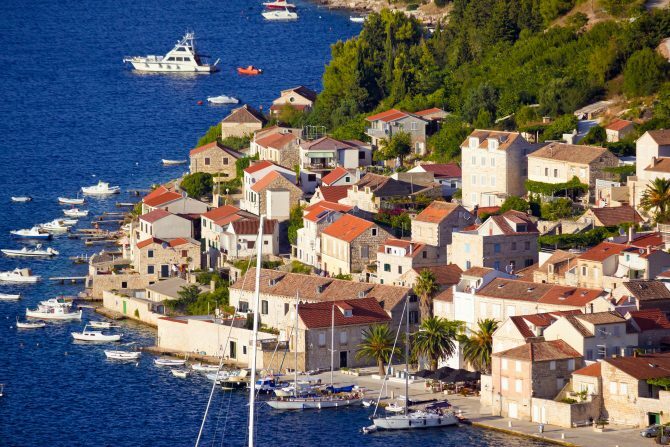 Around Southeast Croatia in the Adriatic sea lies Bisevo – a limestone island that sits directly in the middle of the Dalmatian archipelago. And concealed within this brilliant rock formation is the famed blue grotto, commonly known as the Blue Cave. The ethereal hideout is said to be the most enchanting cave experience in the world. Upon entering the cave, you may possibly experience nature at its most wondrous as the inside is illuminated by a brilliant blue light. Venture deeper and you’ll witness the cave’s slippery walls and the crystal waters bathed in this luminous shade of blue that will truly render visitors speechless. So how does the water in the cave get its spellbinding blueness? As though made by special effects from a movie set, this natural phenomenon, best viewed from 12pm to 2pm, occurs daily due to the reflection and refraction of light. According to scientists, light enters the cave through a rooftop opening and reflects off the white limestone floor, coating the underside of the cave in a beautiful aquamarine light. The light that enters the water then refracts, causing anything on its surface to transform into a shimmering silver. However, getting to the Blue Cave may prove to be a challenge for some. 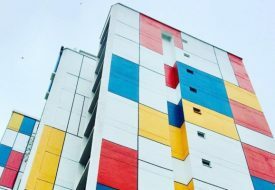 While there are numerous companies offering day tours from the beautiful town of Split, some of the offers include the other islands from further away, hence giving you lesser time with the blue beauty. 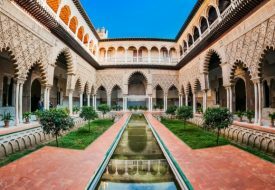 So we advise you to do the necessary homework in order to choose the tour that best suit your needs. For the more adventurous and possibly a more cost-effective way to get to the Blue Cave, travellers can take a ferry from the mainland city of Split to the Island of Vis ($11 for one way). 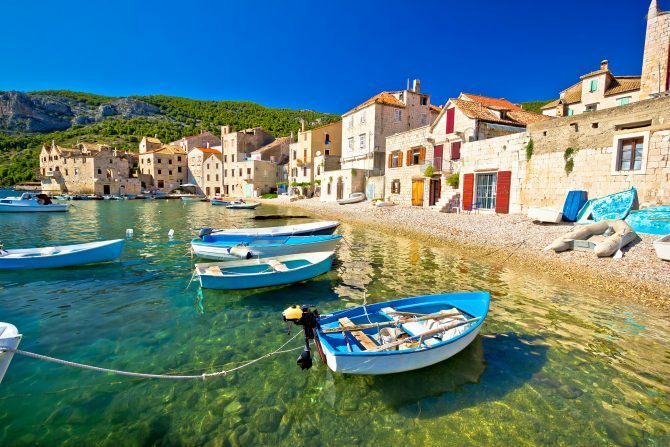 Once at the port of Vis, you will have to board a bus heading to the tiny fishing town of Komiza ($4 for one way). Finally, at Komiza, you can then hire a boat to take you to the islet of Bisevo ($6 for one way). The journey from Komiza to Bisevo is approximately an hour. Though troublesome, this route to the Blue Cave is much cheaper ($42 round trip from Split) than hiring a tour from Split directly (usually $100 and above). Unfortunately, with access to the Blue Cave limited to boats and ferries, swimming is prohibited to prevent the likelihood of accidents. Nonetheless, for the active ones who crave some swimming or cliff diving, they can head to the Blue Cave’s lesser-known sister, the Green Cave on Vis Island. Similarly, light reflects off the algae covered cave ceiling resulting in the shining emerald colour in the water. While the journey to the Blue Cave requires some effort, a trip to revel in Mother Nature’s beauty beats viewing something man-made. 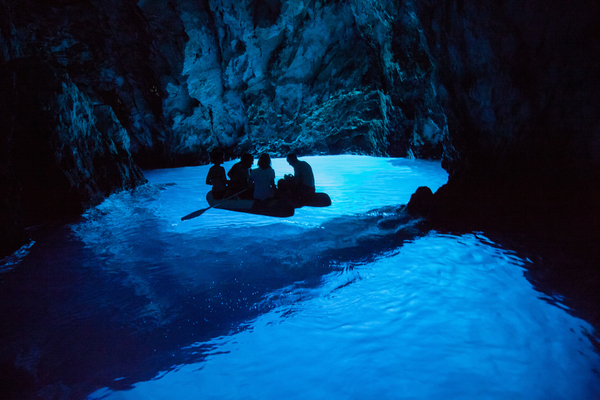 Get a boat, voyage out to sea and be rewarded by the allure of Bisevo’s very own Blue Cave.